This section lists the applications available in the repositories. Click on the yellow application name to install its respective package. 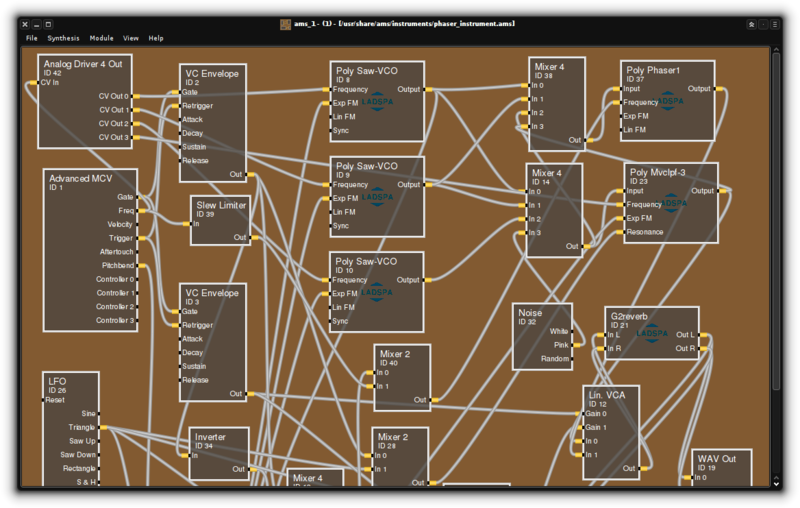 AlsaModularSynth is a realtime modular synthesizer and effect processor. 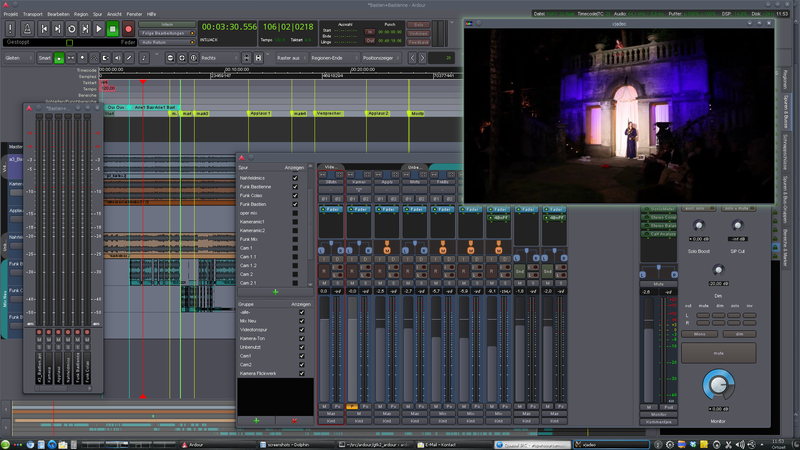 Ardour is a multichannel hard disk recorder (HDR) and digital audio workstation (DAW). It can be used to control, record, edit and run complex audio setups. Aria Maestosa is an open-source midi sequencer/editor. It lets you compose, edit and play midi files with a few clicks in a user-friendly interface offering score, keyboard, guitar, drum and controller views. Collection of tools useful for audio production. This is the main app. It performs system checks, manages JACK, calls other tools and make system tweaks. 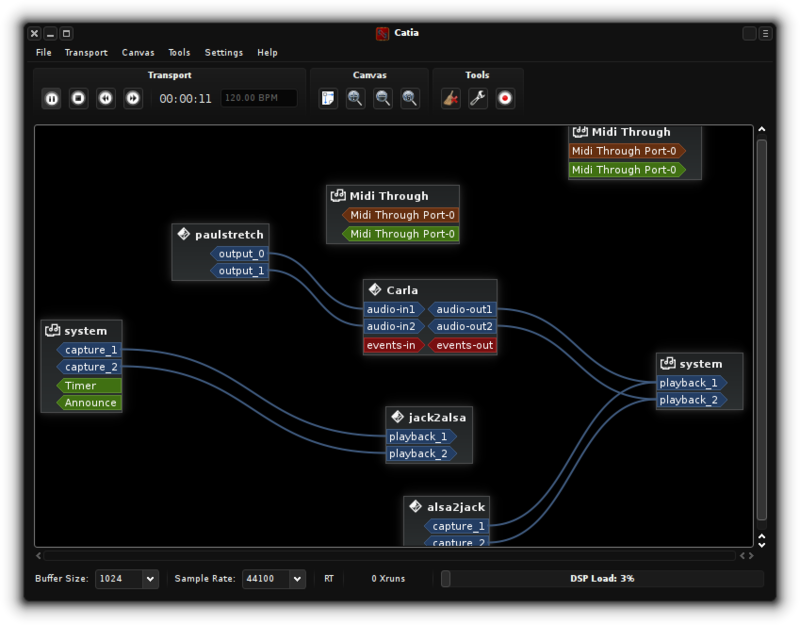 Carla is an audio plugin host, with support for many audio drivers and plugin formats. 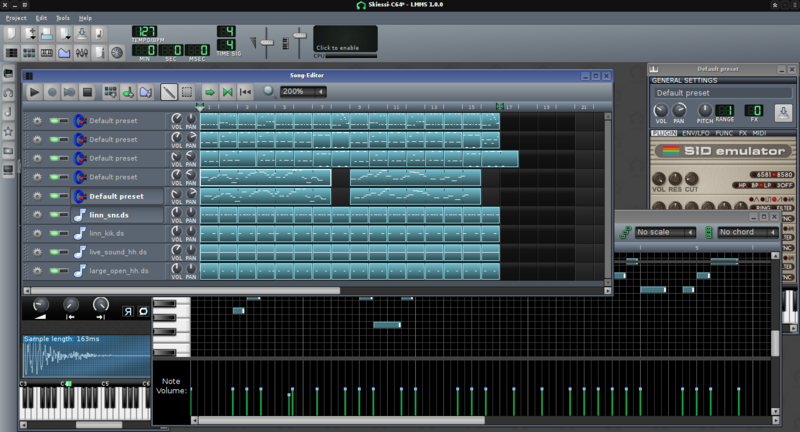 It has some nice features like automation of parameters via MIDI CC and full OSC control. 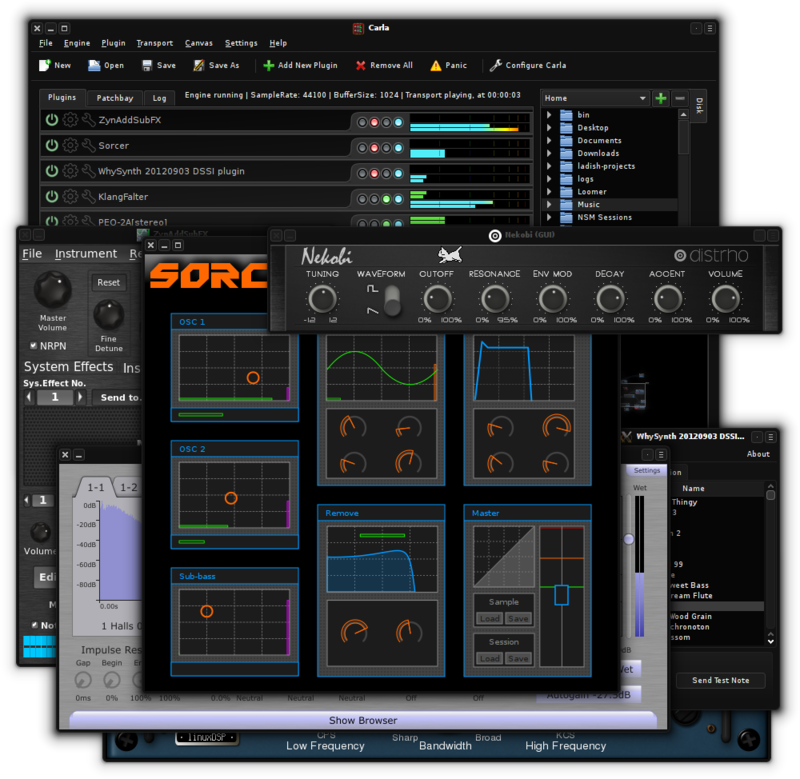 Currently supports LADSPA, DSSI, LV2, and VST plugin formats, and GIG, SF2 and SFZ sounds banks. JACK Patchbay, with some neat features like A2J bridge support and JACK Transport. It's supposed to be as simple as possible, so it can work nicely on non-Linux platforms. LADISH frontend; just like Catia, but focused at session management through LADISH. It has a bit more features than the official LADISH GUI, with a nice preview of the main canvas in the bottom-left. It also implements the 'Claudia-Launcher' add-application style for LADISH. 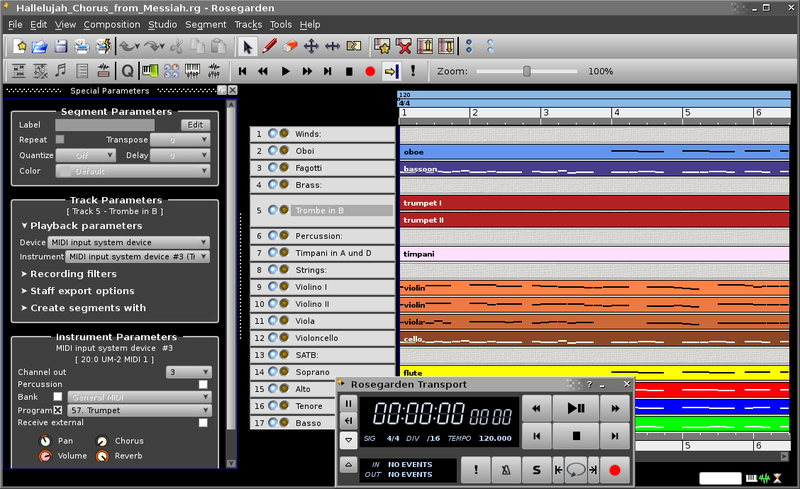 Ingen is a modular audio processing system for Linux using the JACK audio server and LV2 plugins. Any saved Ingen graph can be loaded as an LV2 plugin on any system where Ingen is installed. This allows users to visually develop custom plugins for use in other applications without programming. jack-keyboard is a virtual MIDI keyboard - it allows you to send JACK MIDI events using your PC keyboard. It uses the same layout as trackers (like Impulse Tracker) did, so you have two and half octaves under your fingers. This is a command-line application that sends MIDI beat clock pulses based on the current tempo given by the JACK transport. Jalv is a simple but fully featured LV2 host for Jack. It runs LV2 plugins and exposes their ports as Jack ports, essentially making any LV2 plugin function as a Jack application. and those of powerful synthesizers and samplers in a modern, user-friendly and easy to use graphical user-interface. 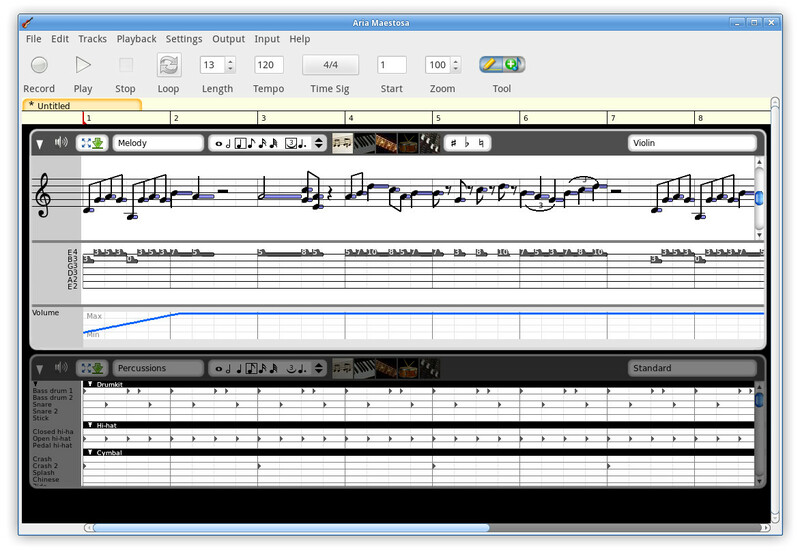 Luppp is a music creation tool, intended for live use. It focuses on real time processing and a fast intuitive workflow. Powerful, reliable and fast modular Digital Audio Mixer. It utilizes JACK for inter-application audio I/O and the NTK GUI toolkit for a fast and lightweight user interface. Non-Mixer can be used alone or in concert with Non-Timeline and Non-Sequencer to form a complete studio. API and an implementation for session management in the context of Linux Audio. NSM clients use a well-specified OSC protocol to communicate with the session management daemon. Powerful, reliable and fast modular Digital Audio Timeline arranger. Non-Timeline can be used alone or in concert with Non-Mixer and Non-Sequencer to form a complete studio. PaulStretch is a program for stretching the audio. It is suitable only for extreme sound stretching of the audio (like 50x) and for applying special effects by "spectral smoothing" the sounds. Note: This is a custom version that uses NTK, see this link. for small sized intros, demos or games. Note: This is a custom version with JACK audio support, see this link. 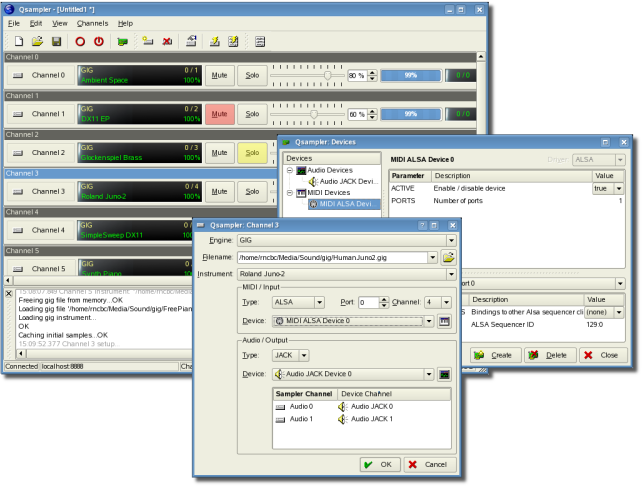 LinuxSampler GUI front-end; it wraps as a client reference interface for the LinuxSampler Control Protocol. 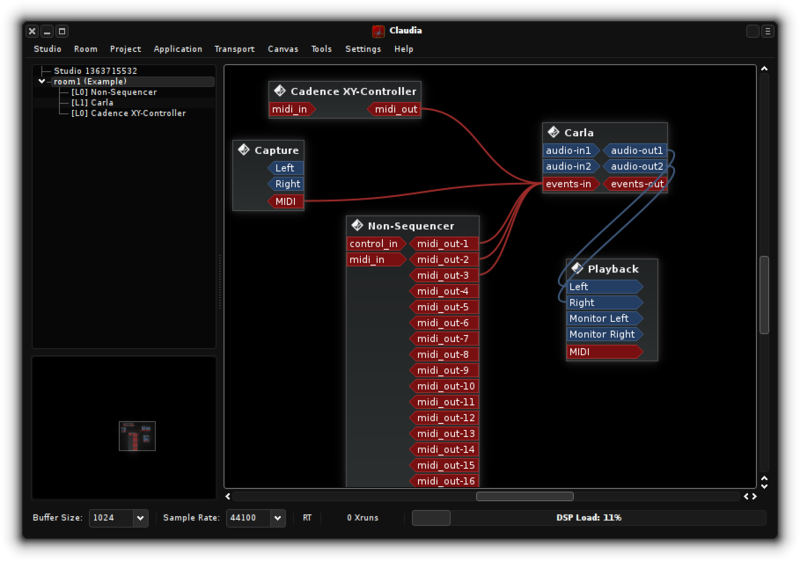 Qtractor is an Audio/MIDI multi-track sequencer application. 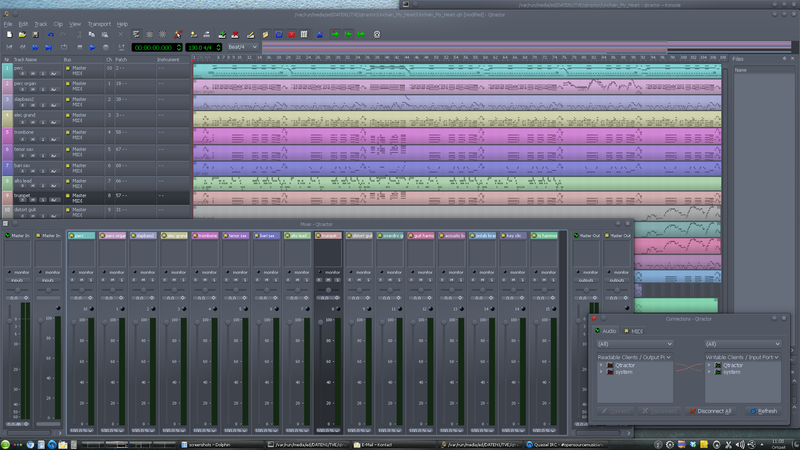 It evolves as a fairly-featured Linux desktop audio workstation GUI, specially dedicated to the personal home-studio. features a rich understanding of music notation and includes basic support for digital audio.